Isabelle and Antoine, a couple from Quebec, made a big decision. 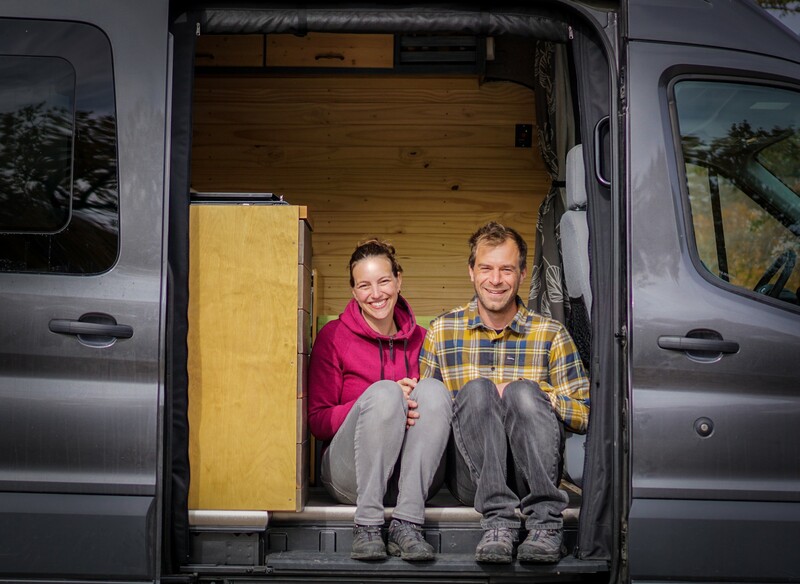 At 36 years old, they left behind their engineer careers, they sold their house and built themselves a home-on-wheels. Direction an epic road trip throughout America. 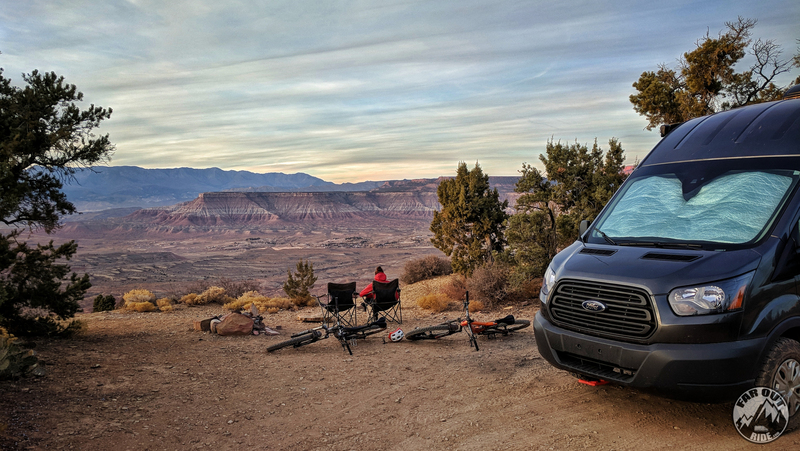 To share all the aspects of their adventures, from the beautiful landscapes to the way they made it, they obsessively documented the conversion process of their Ford Transit Cargo van into a campervan on their website. An open book to enable others to do the same. How did the idea of that adventure come in your mind? We both backpacked quite a lot in our young adulthood. Then, we did what “normal” young professionals do: get a house, cars, careers and the routine that comes with it. Life was good, actually, as we splurged on our hobbies and on short intense vacations. 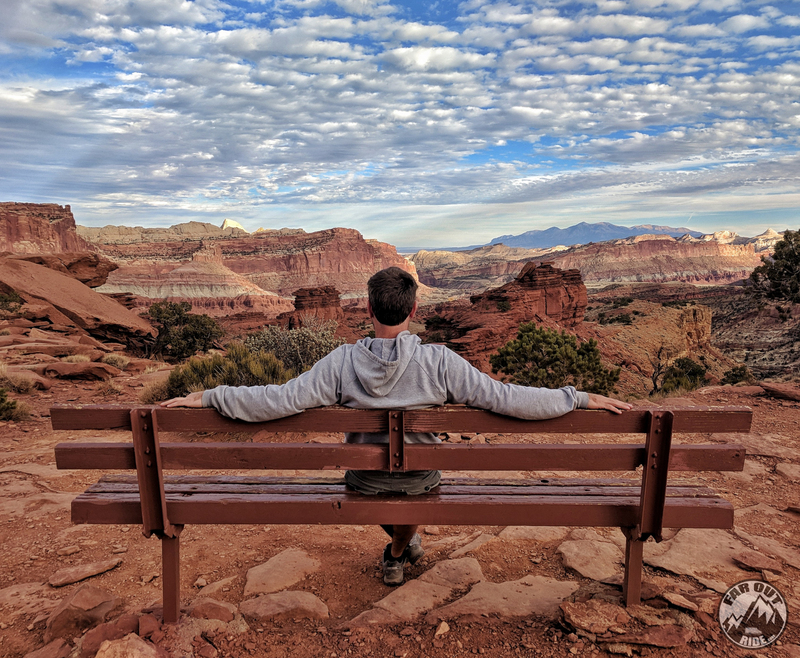 We reached our thirties and realized this pattern would repeat until we finally get to retire and THEN live our life to the fullest… if we’re still healthy that is. We started dreaming of a lifestyle with fewer expenses, less work, and more time to enjoy ourselves as life goes on; why report it later? 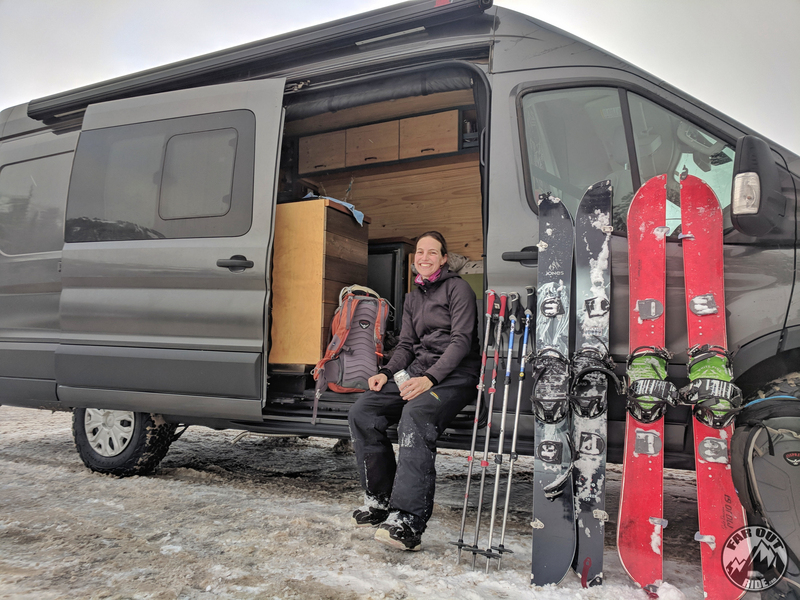 Fast forward a few years later, and here we are living in a van and riding our mountain bikes/snowboards pretty much every day. People often assume we’re just “lucky” or we had access to a ton of cash somehow… it’s really not the case! We’re just “normal” people who decided to get their sh*t together, plan and act. It was years compromises and sacrifices, but now it’s payback time! 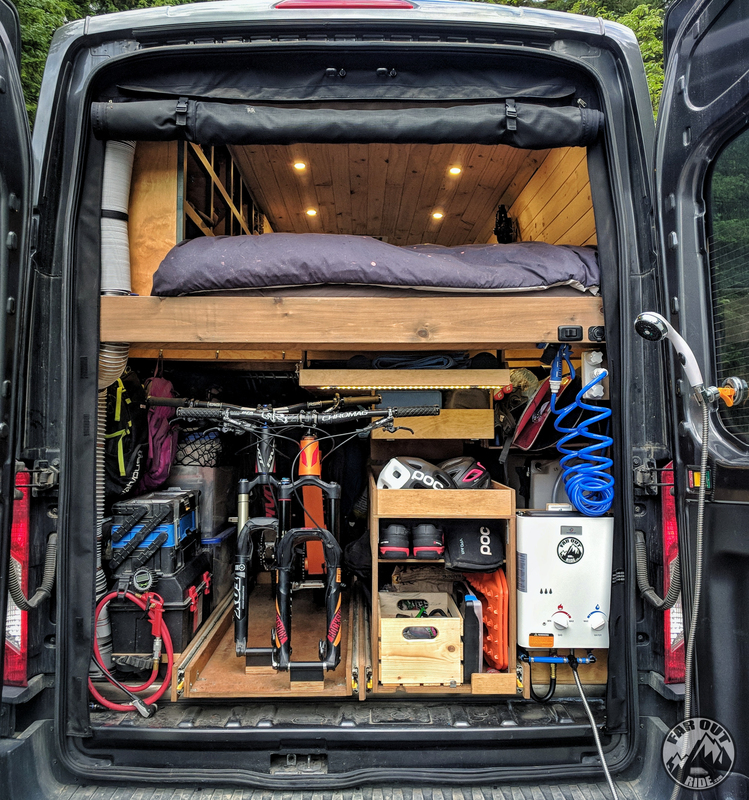 We moved into our van in August 2017. 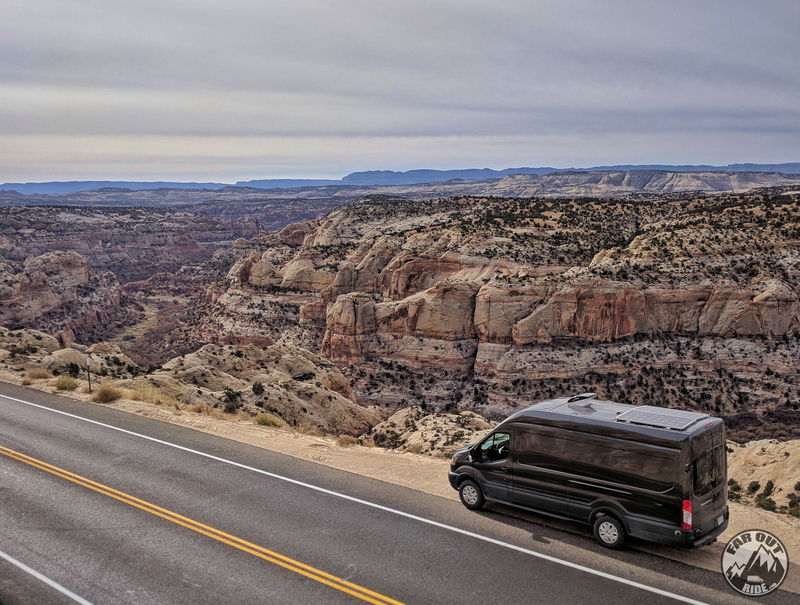 After almost 2 years on the road, we still fully enjoy being nomad. 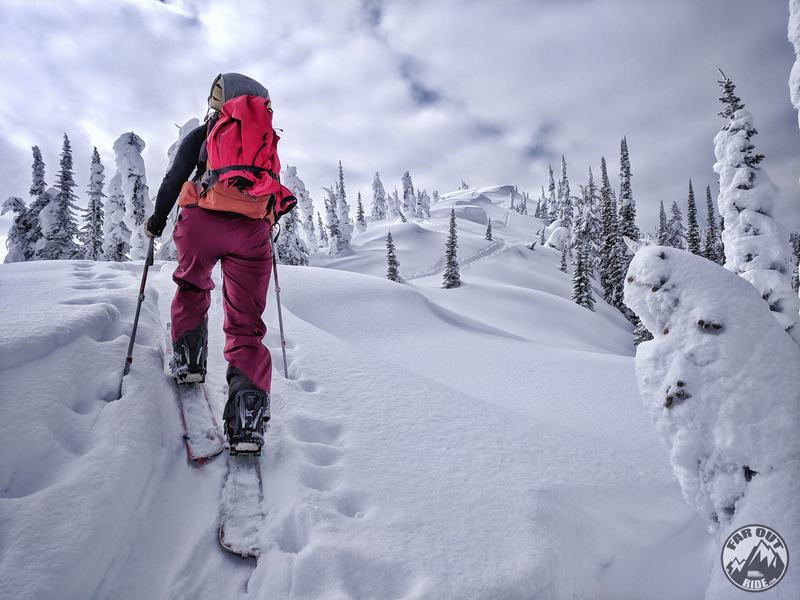 Because our travels focus on mountain biking and backcountry skiing, we’ve spent most of our time on the west coast of North America; the riding possibilities are endless there! We keep a journal of our travels and we published a few guides on how to live on the road here. What are the good and hard aspects now? 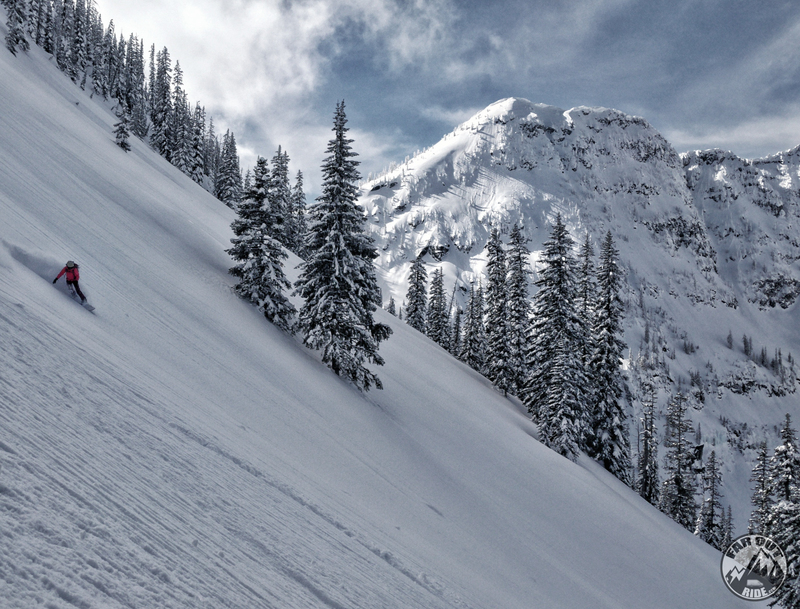 The freedom to choose our backyard is what we love the most; there’s nothing like waking up at the trailhead! We can spend anywhere between days and months exploring a specific region depending on how we like it. We used to own a piece of land, but now we feel like we own it all! The drawback of this lifestyle is we had to let our family and friends behind. While we meet awesome people on our way, it’s hard to develop “true” friendships. Is there a message you would like to transmit to people sharing your journey? 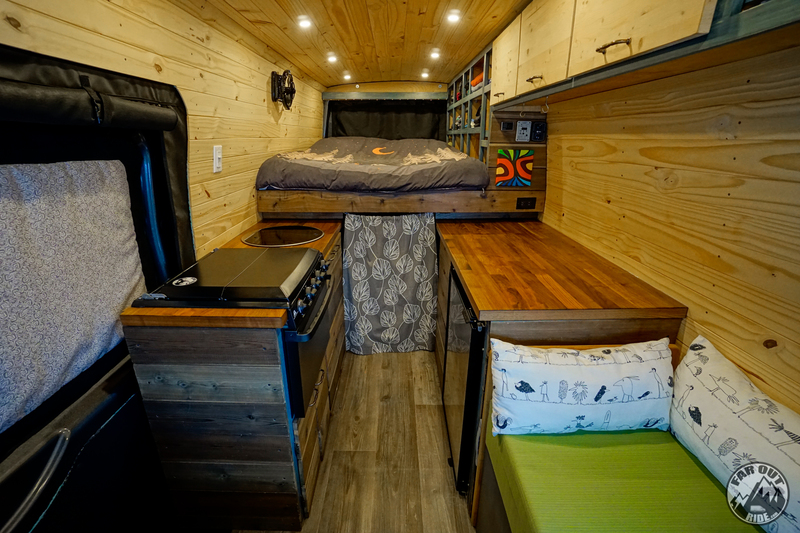 Social Medias present Vanlife as an end, while we see it as a mean. In other words, get a hobby that will complement your travels: hiking, mountain biking, skiing, surfing, photography, whatever. 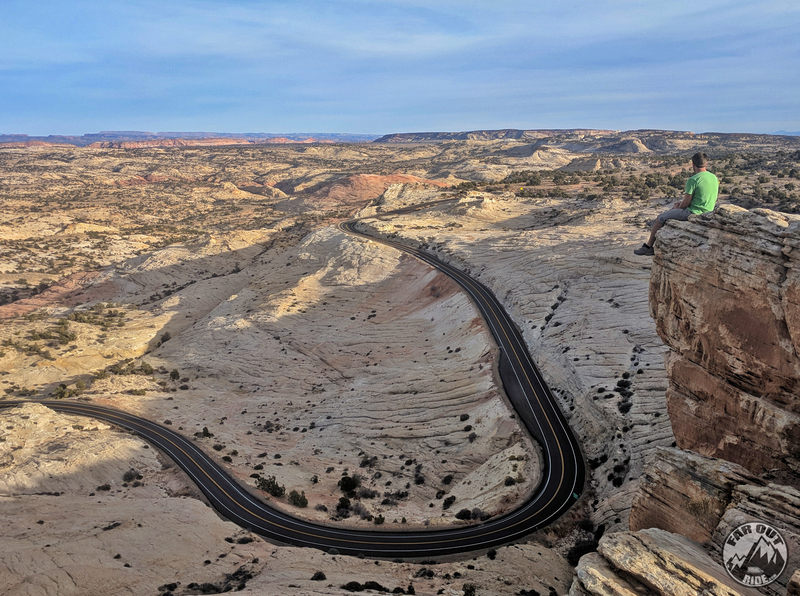 Sightseeing mainstream tourist attractions get old at some point, while your favorite hobby will take you off the beaten track, bring excitement to your journey and you’ll meet people with similar interests along the way.